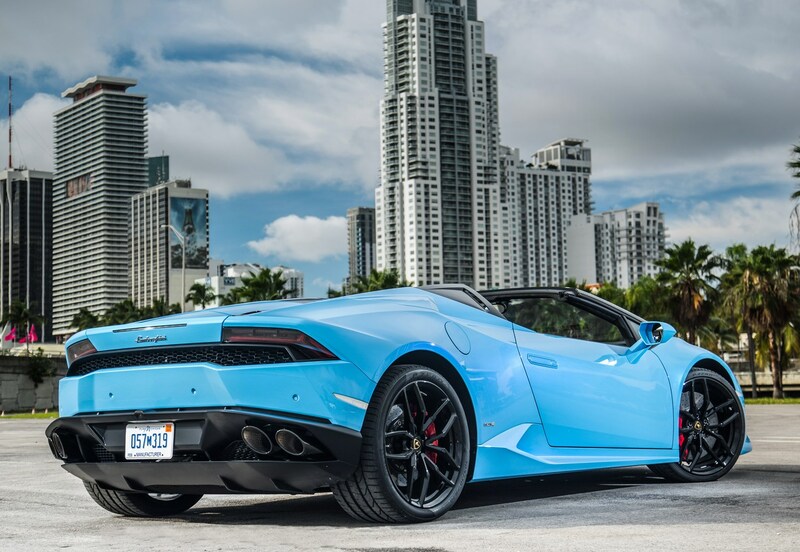 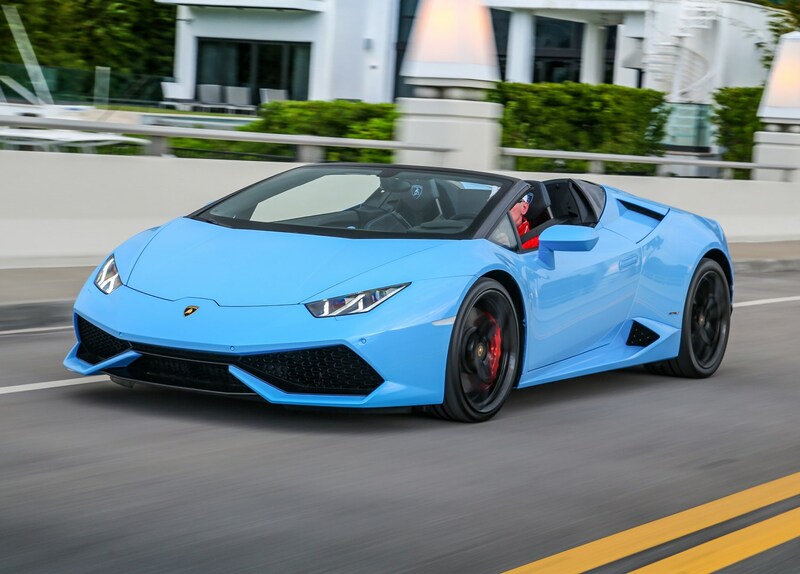 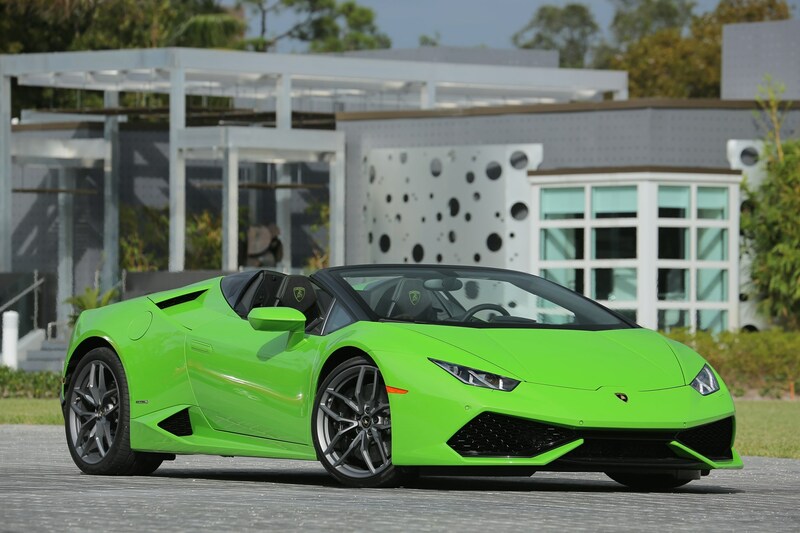 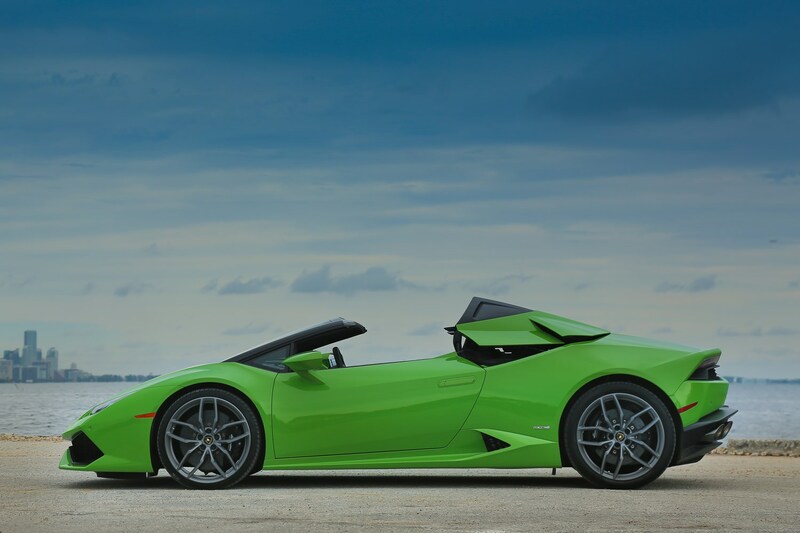 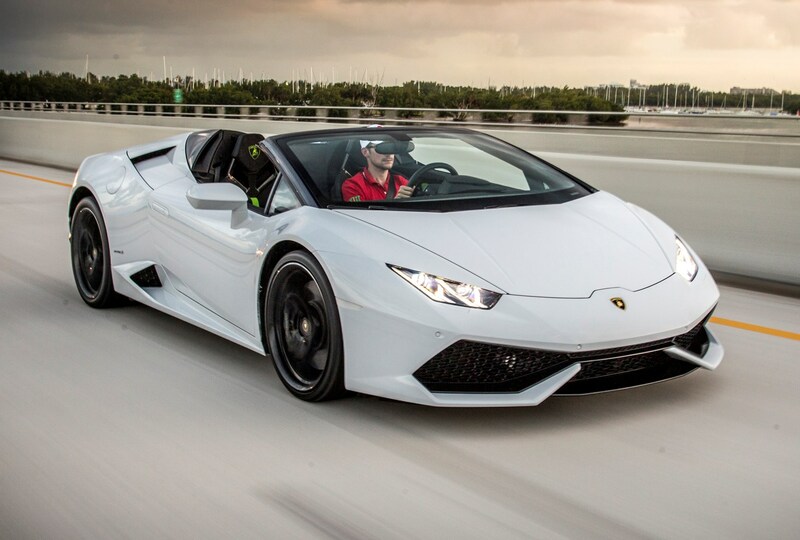 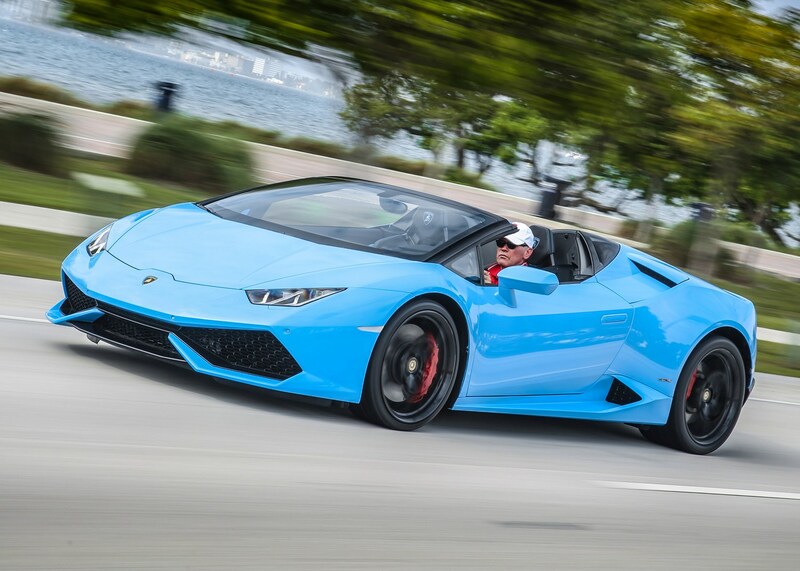 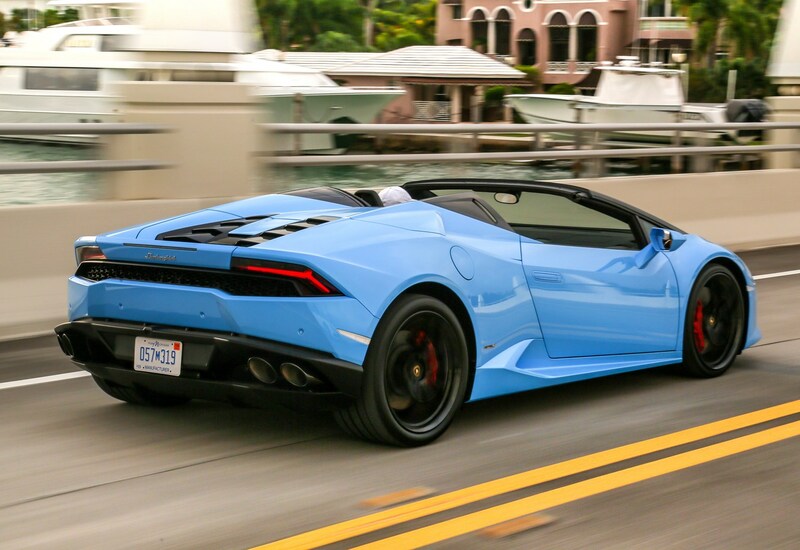 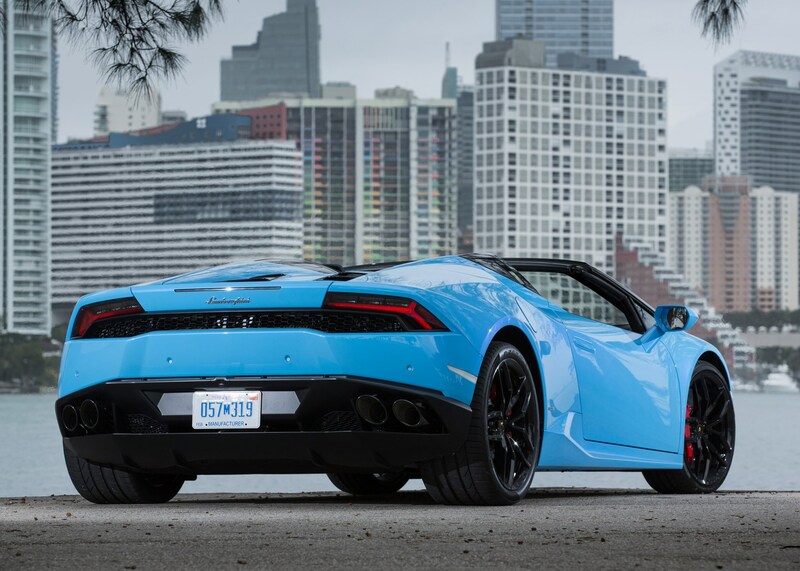 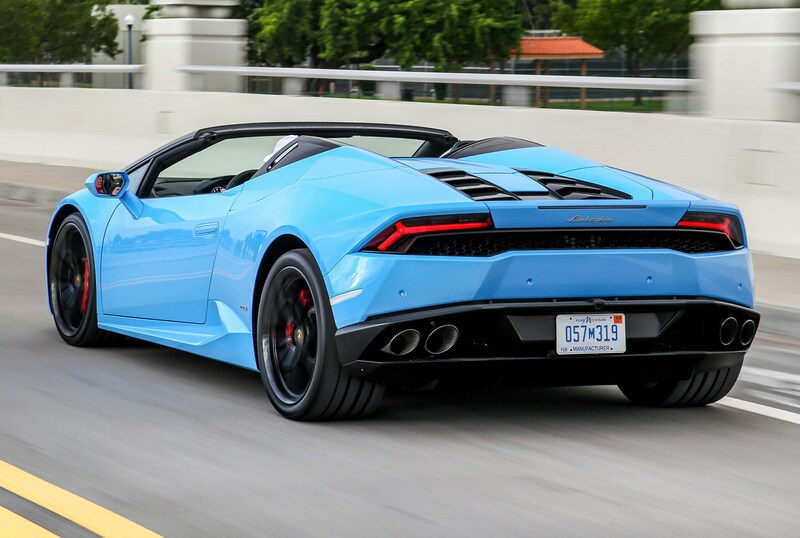 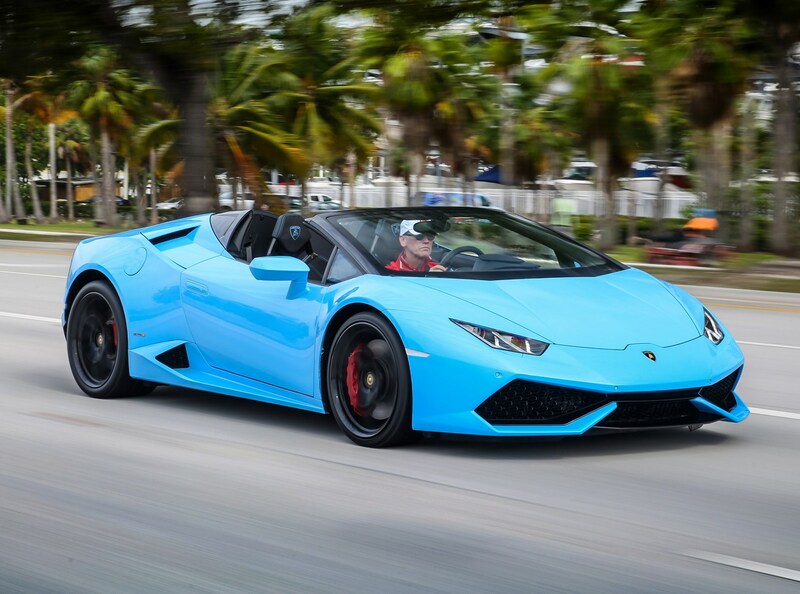 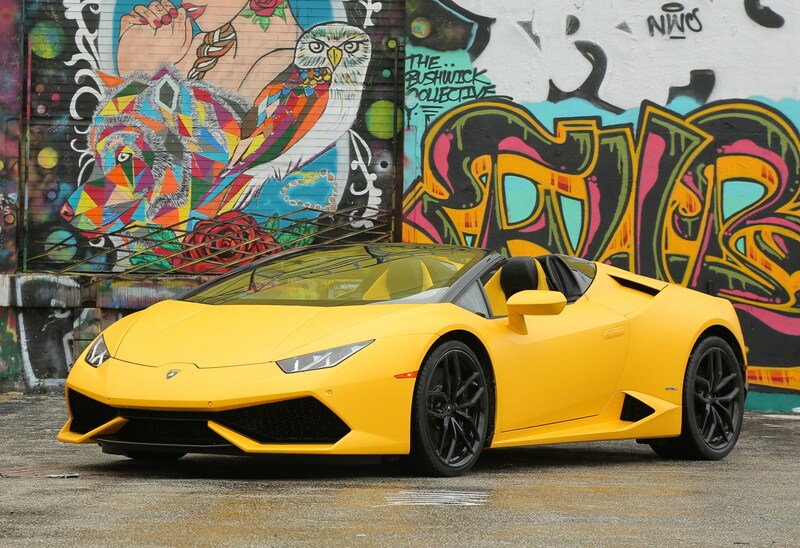 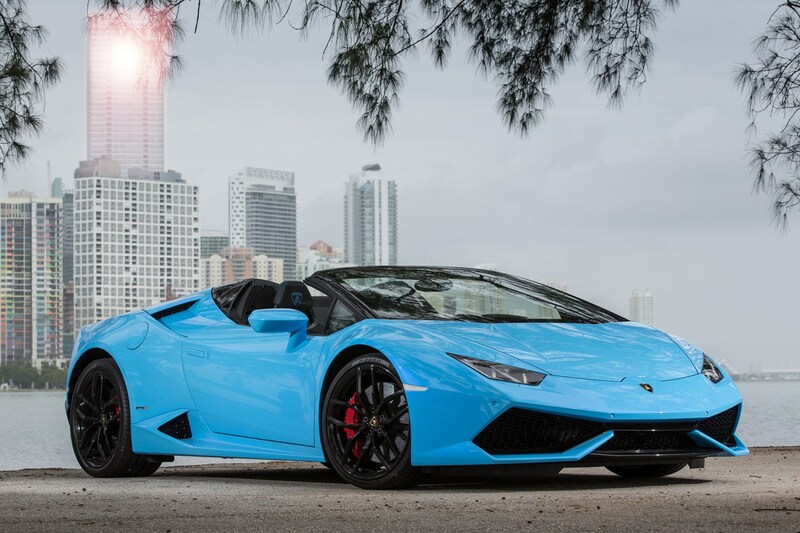 The Lamborghini Huracan LP610-4 Spyder is the open-top roadster version of the Lamborghini Huracan coupe. 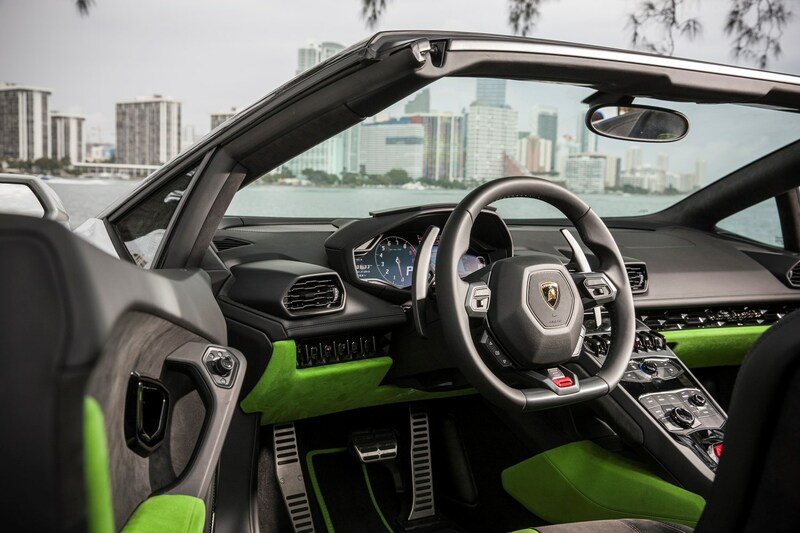 The Spyder features a fabric folding roof and bespoke bodywork aft of the windscreen, but the same high-tech carbon fibre and aluminium chassis, traction-enhancing four-wheel drive, and – crucially – an identical 5.2-litre V10 petrol mounted behind the two-seater cabin, producing 602bhp and 560Nm of torque without using any form of turbocharging. 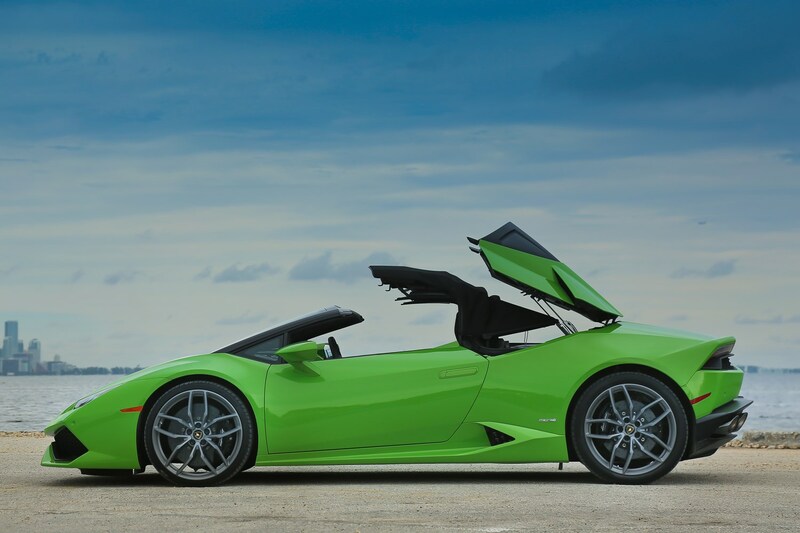 Discounting the considerably less expensive Audi R8, which is built on the same platform as the Lamborghini but isn’t yet available as a convertible and generally doesn’t attract the same customers, the engine and four-wheel drive system are unique highlights for the Huracan Spyder in the true junior supercar class. 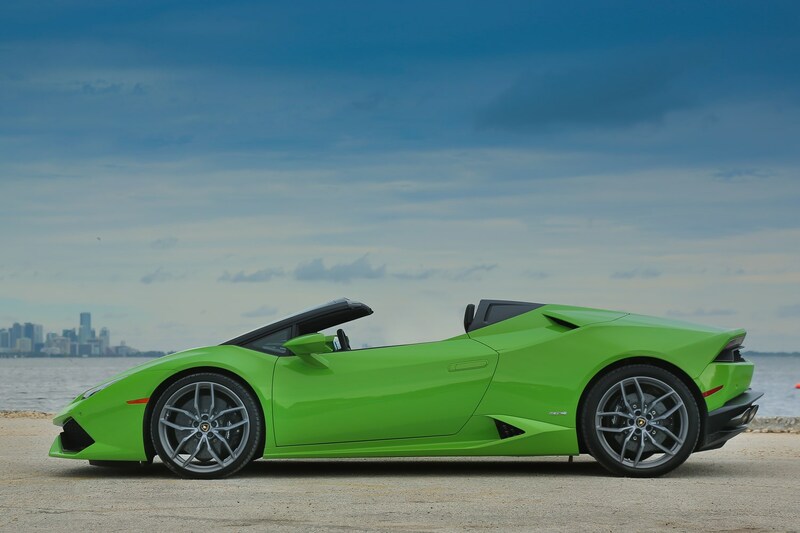 Both the rival Ferrari 488 Spider and McLaren 650S Spyder are rear-wheel drive only and powered by turbocharged V8 engines. 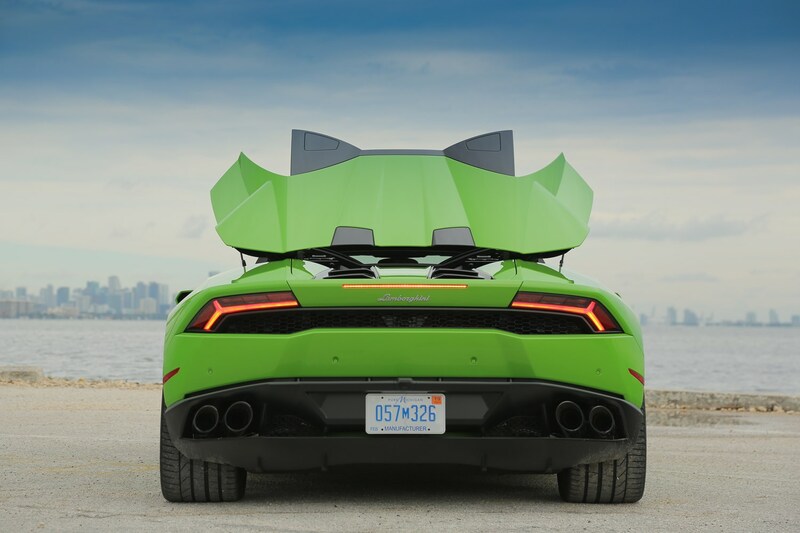 Some will argue that directing all of their power to the rear wheels makes the Ferrari and McLaren more exciting to drive, but the Lamborghini’s engine, while less flexible and certainly less efficient (on paper), offers a far more charismatic experience, revving to a high 8,500rpm with an exceptionally exciting soundtrack. 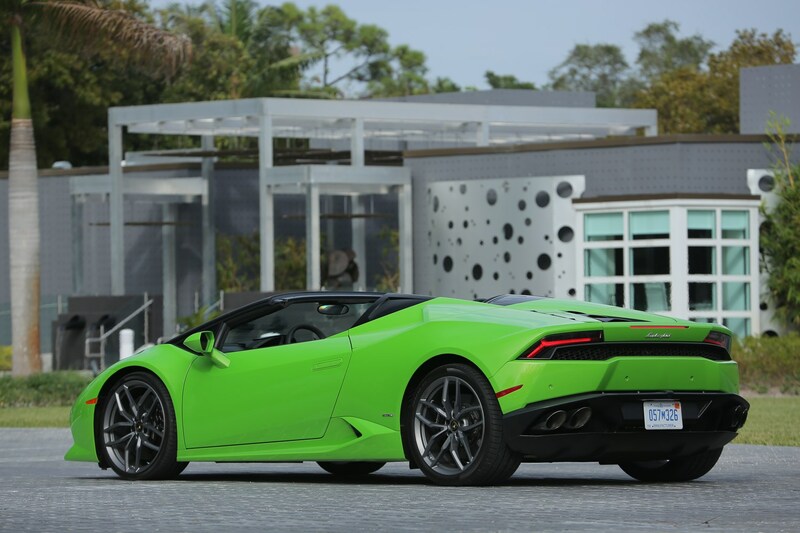 Besides, having four driven wheels in many respects makes the Huracan’s performance more accessible, especially in inclement weather. 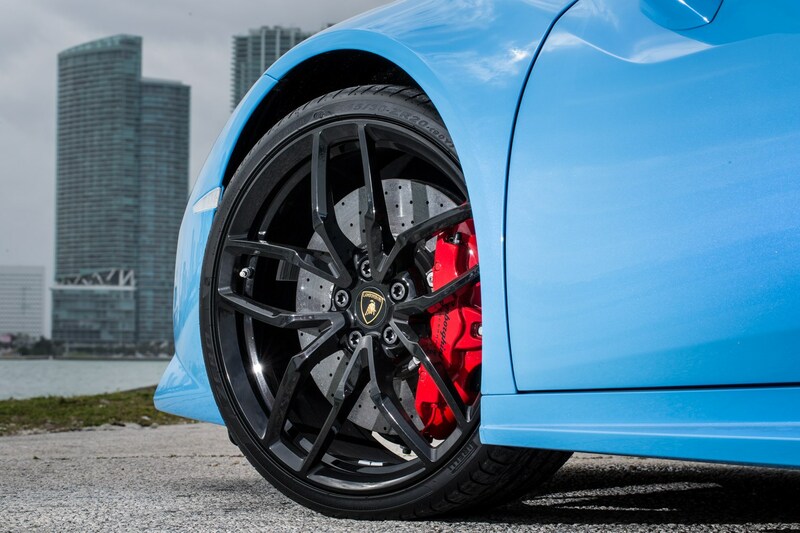 Buyers might also consider the Porsche 911 Turbo S, but as with the R8 this isn’t really in the Lamborghini’s class. 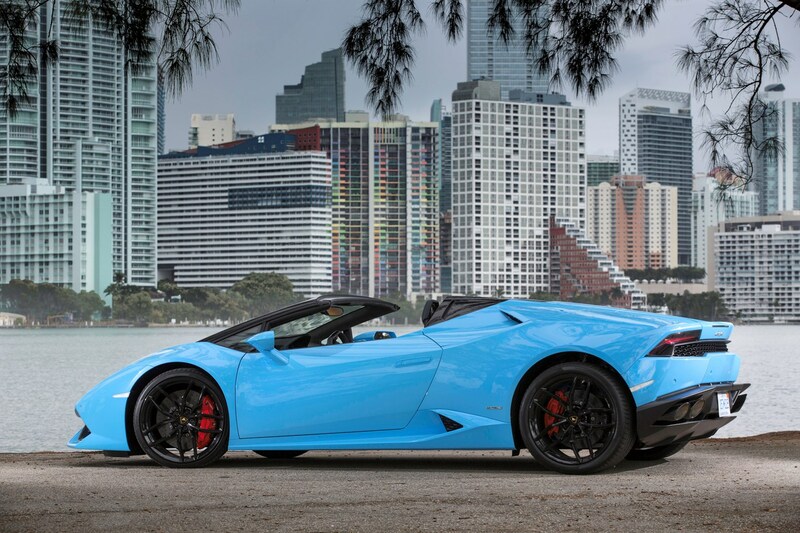 Buying an open-top supercar isn’t just about going fast – it’s also about looking good, and at this the Huracan Spyder simply excels. 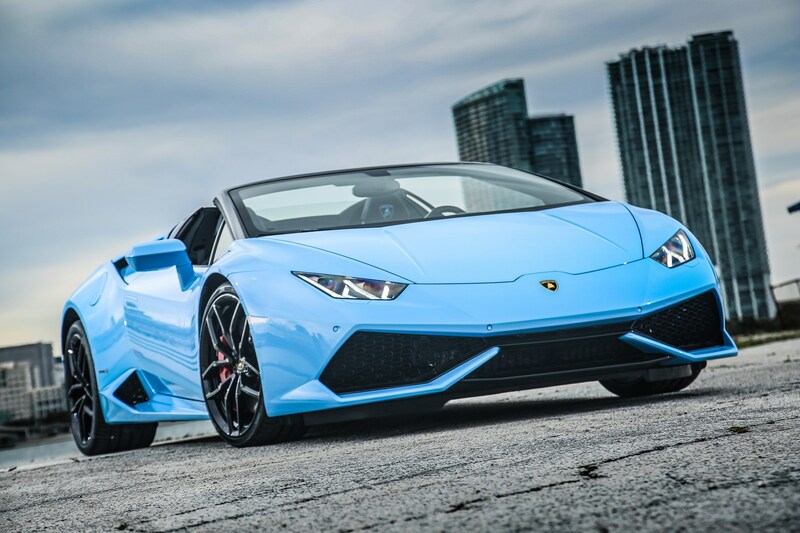 The transformation from coupe to convertible has turned an aggressive shape into something more sensual, and with a roof mechanism that takes just 17 seconds to operate you can make the most of any break in the weather. 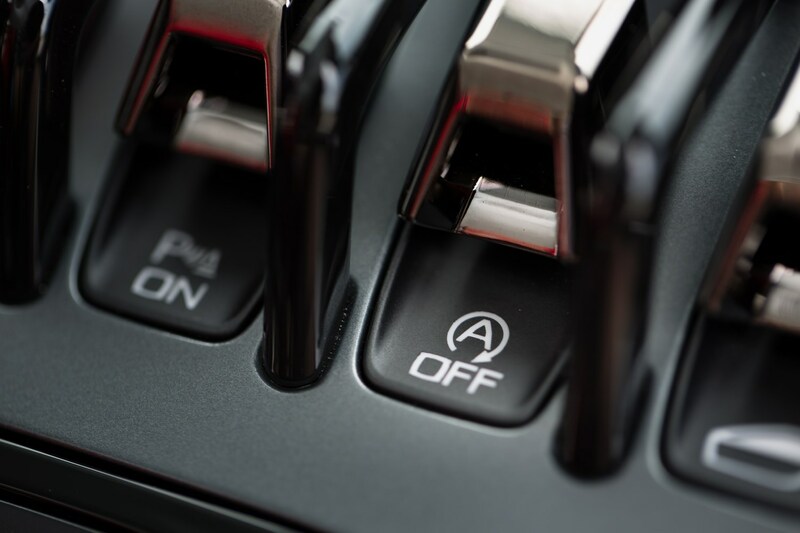 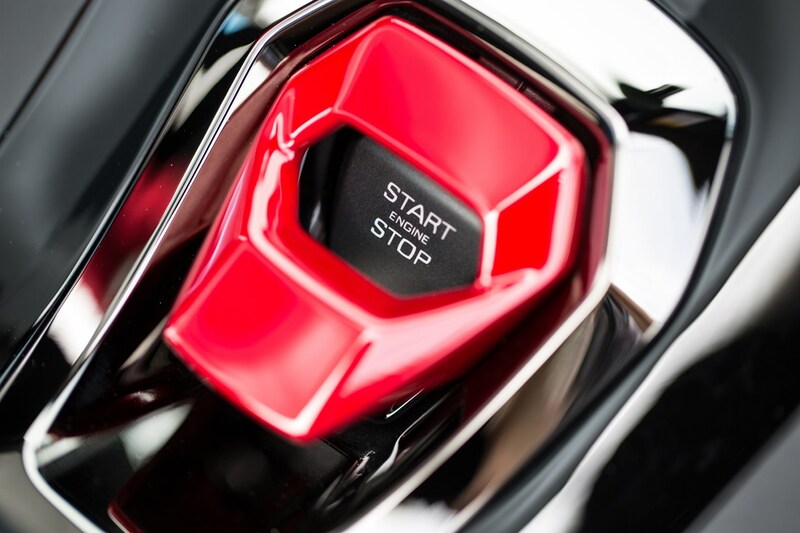 The mechanism works while driving up to 31mph, rather than demanding that you stay at a standstill. 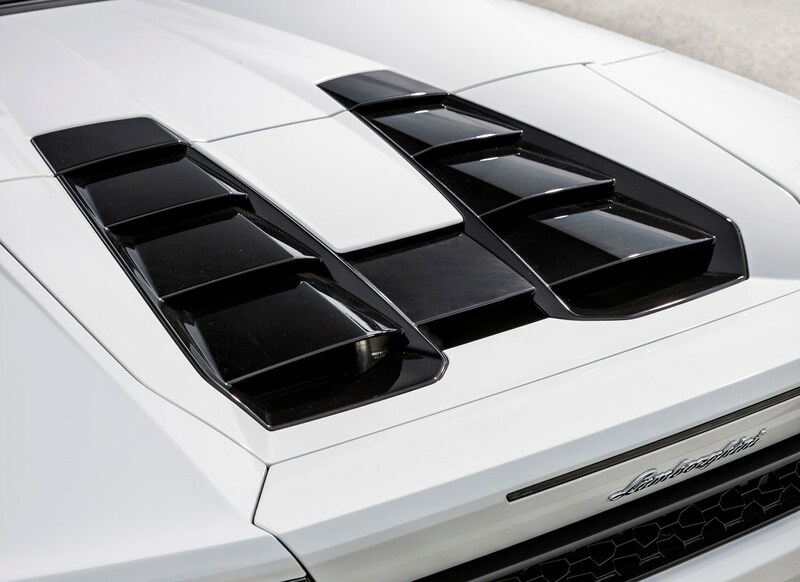 And if you’re wondering why the Huracan only has a fabric roof when rival Ferrari and McLaren feature a folding metal hardtop, Lamborghini says it’s so the difference between the coupe and convertible models is obvious roof up or down – something that’s important as a status symbol in some markets. 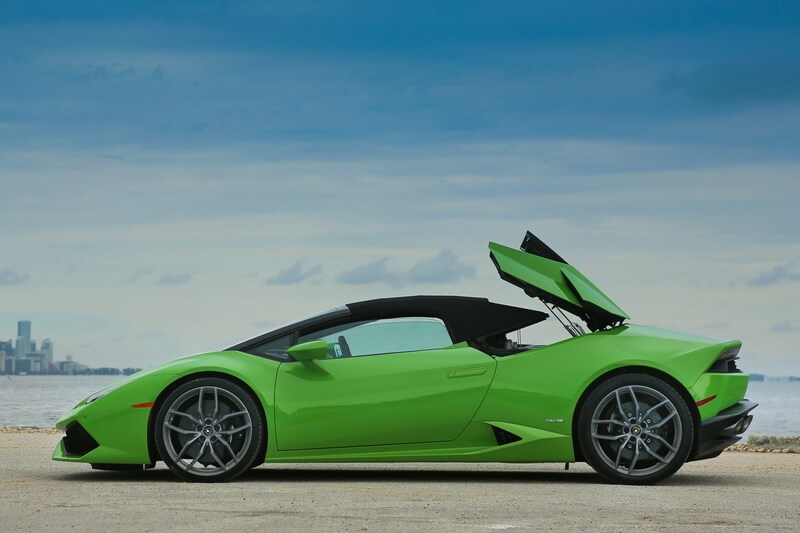 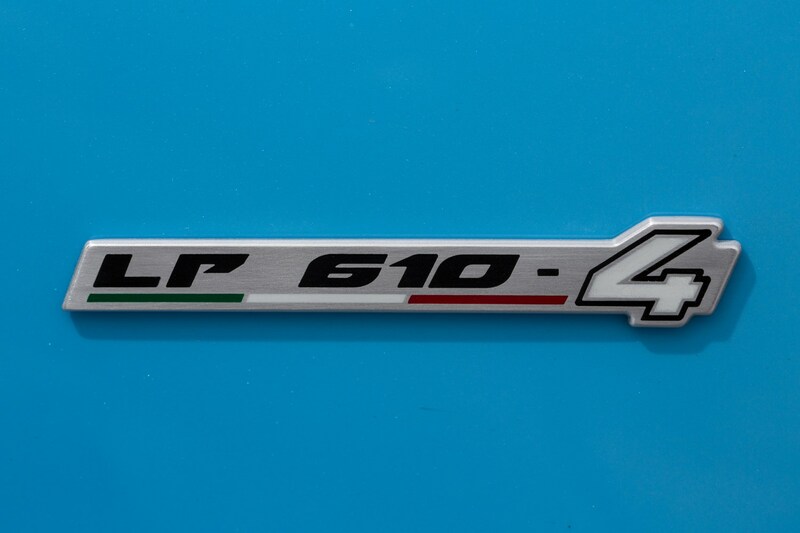 There is only a single trim level at launch, though a less powerful rear-wheel drive only version may follow if the Huracan coupe is any guide, and at some stage Lamborghini is likely to build an even more powerful variant – though to be frank performance certainly isn’t something the standard Huracan Spyder is lacking. 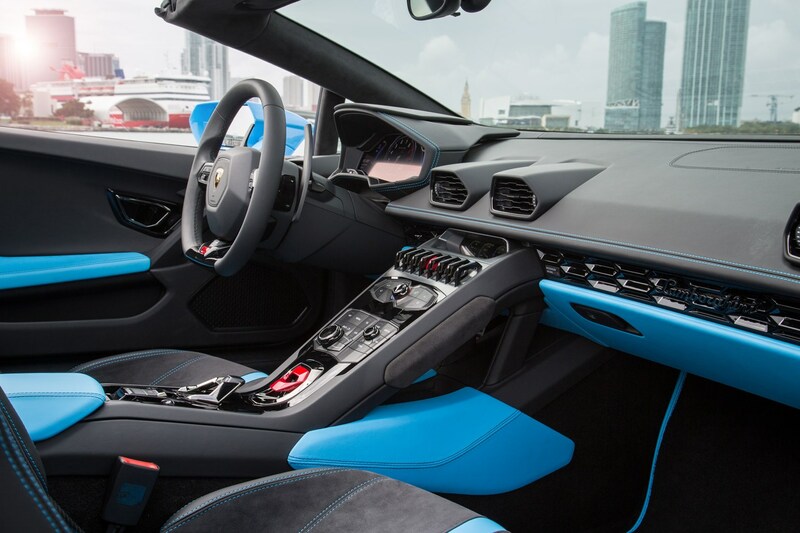 Typically Lamborghini will also produce a number of exclusive limited editions during a model’s lifetime, but with an extensive options list and bespoke ‘Ad Personum’ service, it’s possible to make the Huracan as individual as you are. 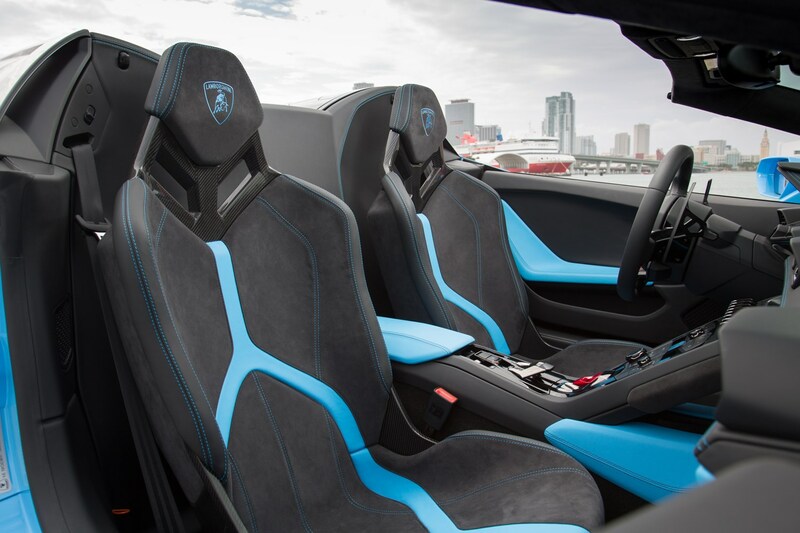 None of this comes cheap, but this is a very exclusive car, and buyers expect to pay a premium for everything associated with the experience. 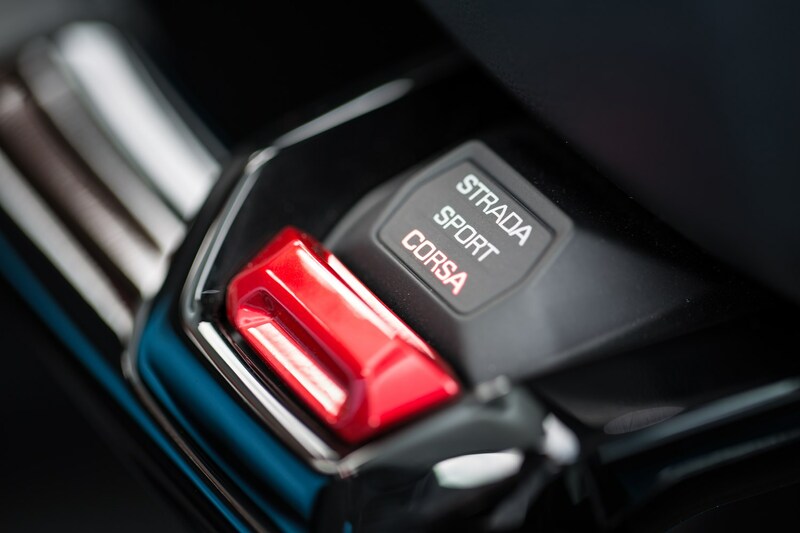 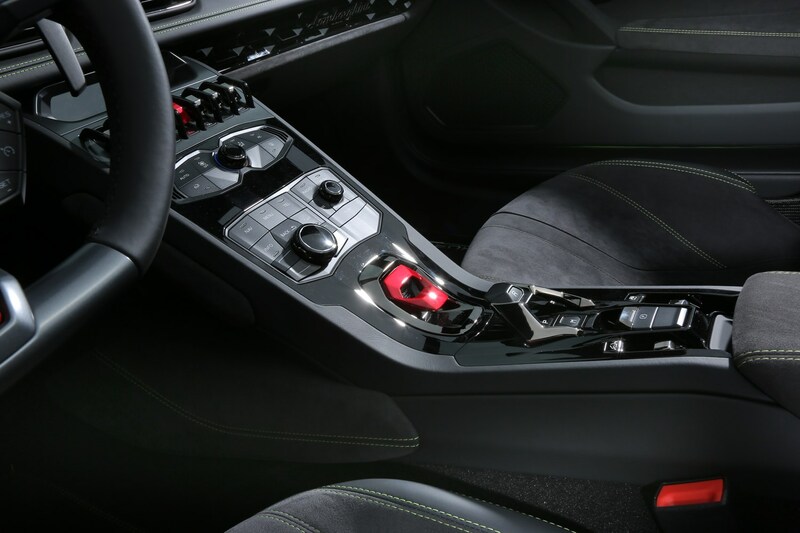 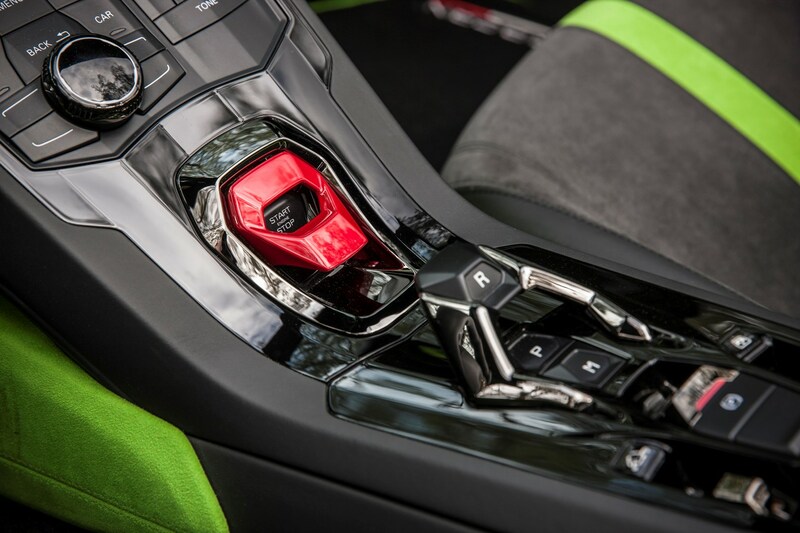 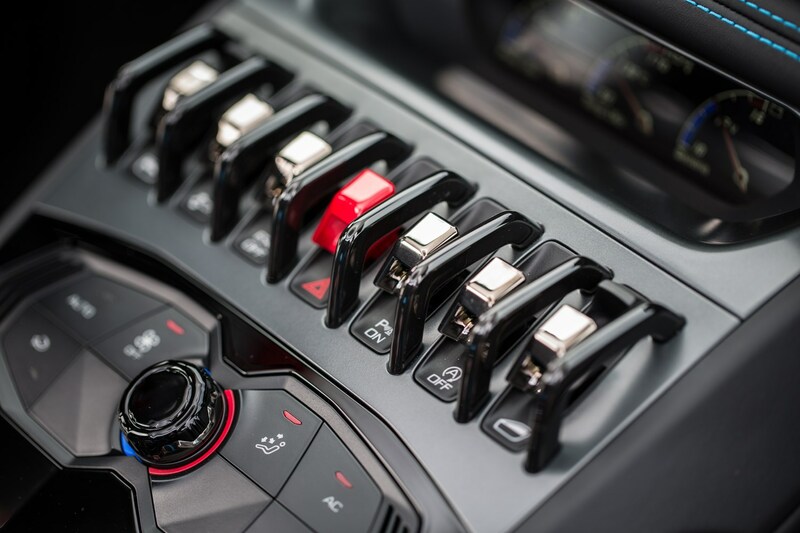 All Huracans are fitted with a seven-speed dual-clutch automatic transmission as standard. 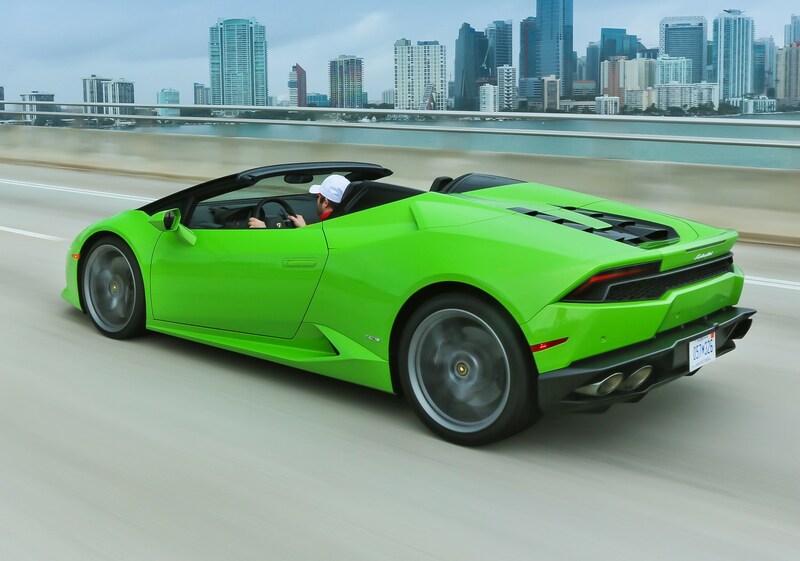 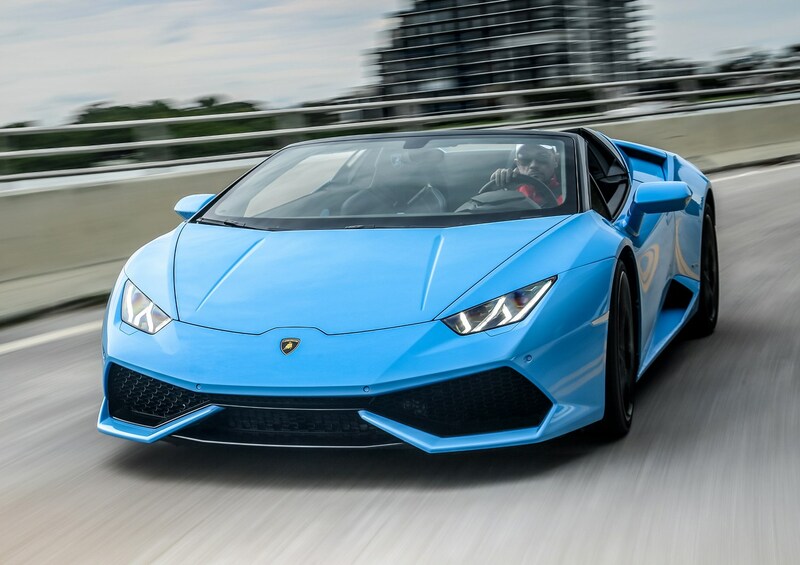 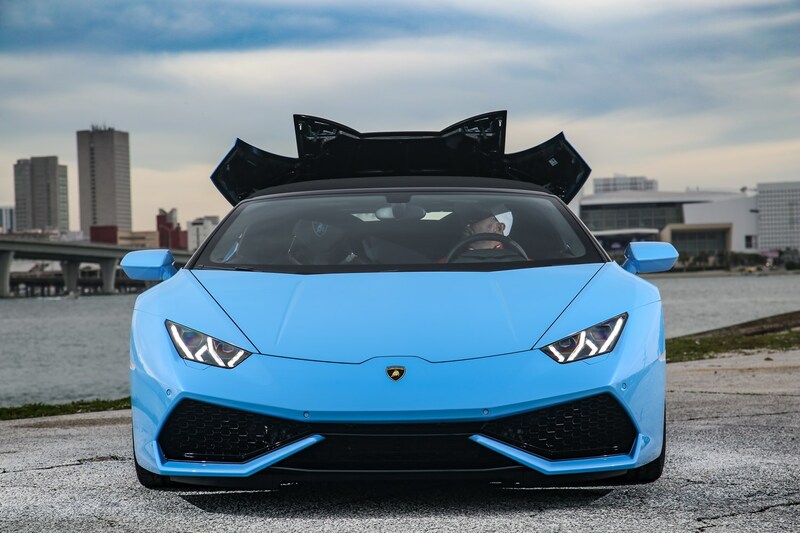 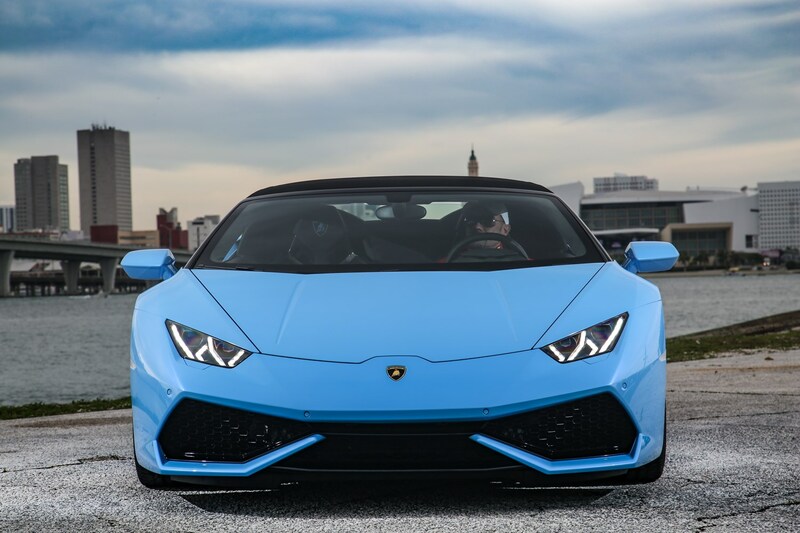 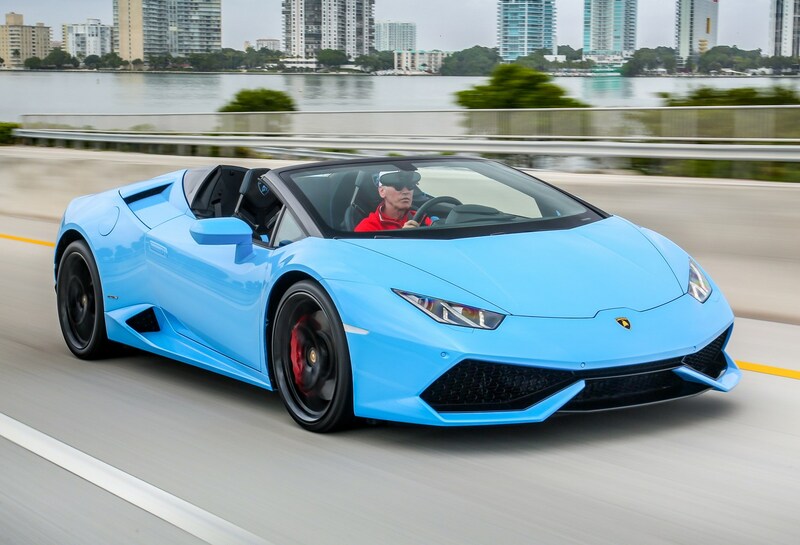 Read on to find out more about how the Lamborghini Huracan Spyder performs and what it’s like from the driver’s seat. 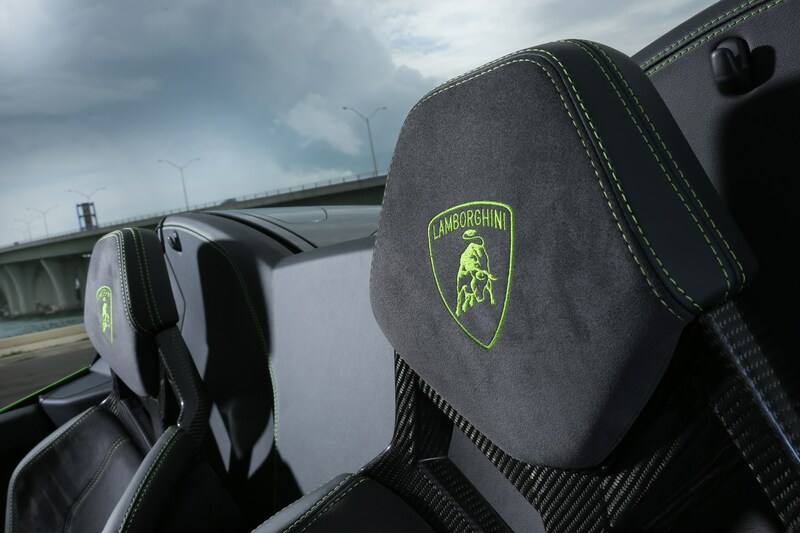 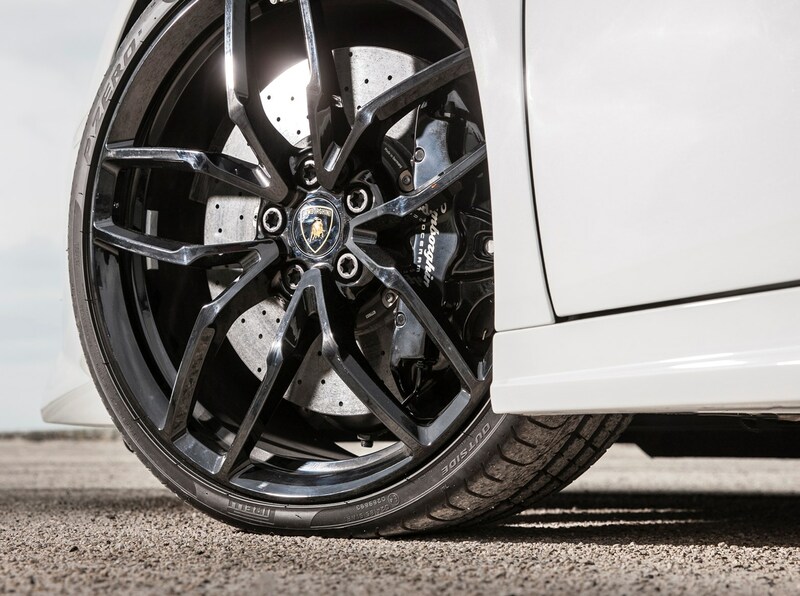 Did you know the most popular review for the Huracan range is the Lamborghini Huracan Evo Coupe review.